The UHF-3205 operates on the less-crowded UHF frequency band giving you a clearer, interference-free sound. Each mic channel has its own volume control and you can either output both channels independently or together using the “mixed output” channel. 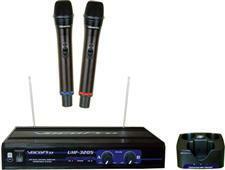 Included in this package are two wireless rechargeable microphones with upgraded, durable metal bodies. 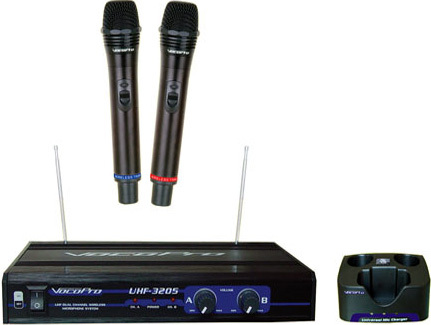 Enjoy wireless freedom at home or in the club with the UHF-3205.